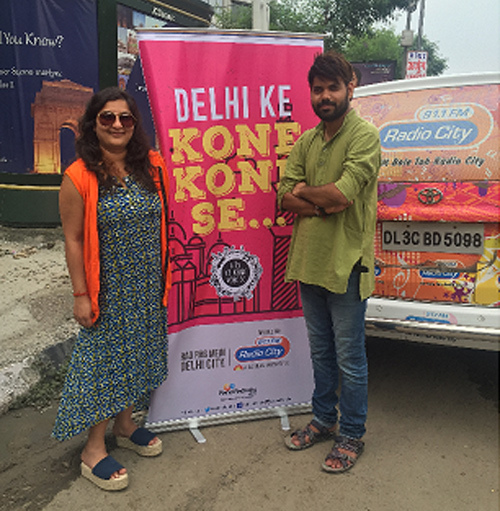 MUMBAI: Radio City, India's biggest private FM station, in a spree of city-centered initiatives, organized a week long campaign 'Radio City Suraksha Bandhan' with the voice behind ‘Sunona Dili’ show-RJ Ginnie. The initiative was planned in such a manner for audiences to share their city related issues on air, in a bid to find solutions. RJ Ginnie on her morning show ‘Suno Na Dilli’ asked people who they wanted suraksha from, for either pot holed roads or incomplete projects. Radio City got thousands of calls from listeners for the same and one of the biggest issue highlighted was that of the road that connects Ashram to DND which was full of potholes. Radio City enlisted the help of the local MLA Praveen Kumar and the same was repaired within two days with a new road laid out. Along with this, the MLA of Samaypur got the broken water lines repaired as well. The campaign garnered tremendous success with multiple city centric pain points coming to limelight and highlighted the brand ideology of ‘Rag Rag Mein Daude City’ and ‘City Ke Kone Kone Se’. Radio City and AudaCITY EVP and National Head – Programming, Marketing Kartik Kalla said, "At Radio City, we are always on the lookout for ways to build engagement with our audiences through innovative campaigns. Radio City Suraksha Bandhanis one such initiative that highlights the reach and impact of Radio and the connect; we have built with our listeners over the years. Radio City Suraksha Bandhan is about empowering listeners and giving them multiple platforms to have their voices and opinions heard and resolved”. Citizens across Delhi have come out very strongly in support of the initiative ‘Radio City Suraksha Bandhan’.